We’ve all heard the saying, “April showers bring May flowers.” Spring is such a wonderful time of growth and change; the days are getting longer, we’re outside more, and planting season is in full bloom. 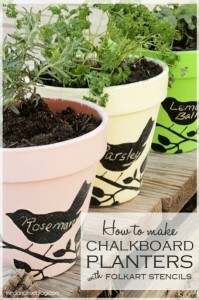 For this week’s blog, I thought it would be appropriate to post some DIY projects centered around this theme. Check out these really cool ideas and crafts that will help brighten your home this May. Happy Spring! 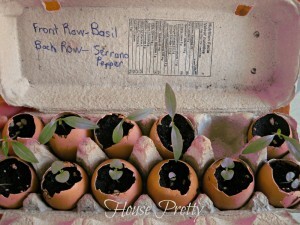 Egg Shell Planting: Use a simple egg shell to start your plants, then simply crush the shell a bit and place it directly into the ground. 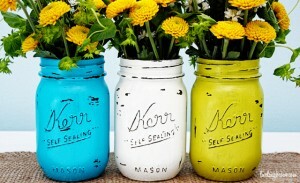 Vintage Mason Jars: All you need is an old jar, some paint, and a nail file. 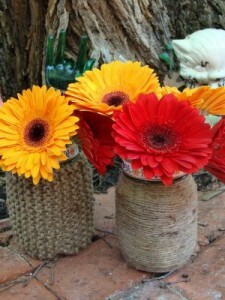 Twine wrapped Jars: An easy way to spruce up any old jar or glass bottle. Spoon Plant Hanger: Take old silverware, bend it, and use it to hang plants.